A detailed unit cost line item construction cost estimate involves a review and understanding of the scope of work of the associated project including all possible factors and risks. Materials, labor, and equipment cost breakdowns and detailed descriptions in plain English provide the highest level of granularity and value when preparing a cost estimate. Anticipated productivity is also a key element. The latter can be affected by multiple variables such as labor composition and availability, weather, site access, materials availability, etc. Owners – Detailed unit price line time estimates are required by public agencies for most IDIQ construction projects. If the project exceeds a specified dollar threshold, tan independent owner estimate must also be created (also called an independent government estimate – IGE as appropriate). Detailed line items are also used to create and validate construction budgets. Contractors – Detailed unit price line estimates derived from unit price books are used to bid jobs, or supplement bids, and are also used by general contractors and construction managers to validate bids from sub contractors. Detailed unit price line item are also critical for progress reporting, invoicing, and payment processes. Required Skills – Field construction experience is extremely important as it is perhaps the only way to gain a true appreciation of risk factors and other variables that can impact a construction project. In addition, the ability to review and interpret construction drawings, work with cost estimating formulas and technologies, communicate information to disparate disciplines and audiences, and attention to detail are all additional requirements. 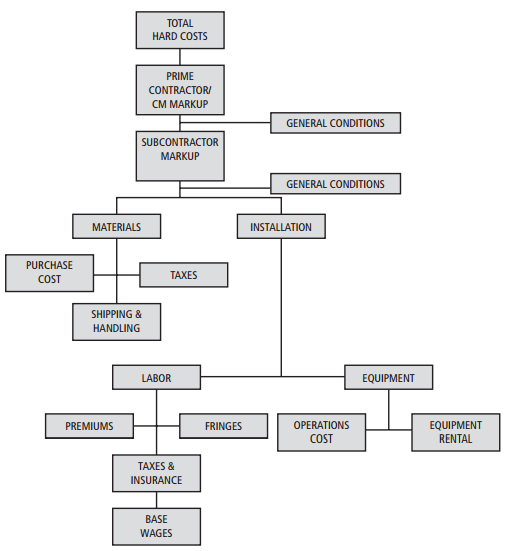 Defining the scope of services in itself requires several considerations such as identifying inclusions and exclusions, defining the basis to be used for pricing (construction cost databases and/or unit price books – UPB, unit price guides, subcontractor quotes), presentation of line items as bare costs or inclusive of overhead and profit, classification system to be used, i.e. CSI MasterFormat, Uniformat II, WBS, etc, and format of the estimate (summary level, detailed level, price vs. non pre-priced items, associated formulas, source of each line item). Collaboration among construction project participants and/or stakeholder is critical to assuring a proper definition of the scope of services, and thus mandatory if the estimate is to reflect the expectations of the owners, design, contractor, etc. As one might expect, achieving the best possible outcome for the estimate and the overall construction project is dependent upon the processes involved in gathering accurate information in a timely manner and to employ the actions and philosophies associate with continuous improvement and LEAN best management practices. The following is a graphic noting some of the items that may be considered in the creation of a construction cost estimate. 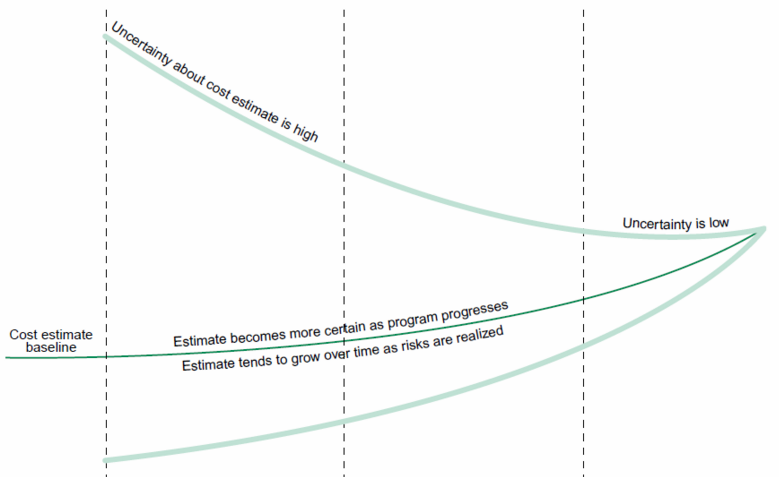 Multiple construction delivery methods require line item construction cost estimates. Job Order Contracting – JOC, for example, requires the use of line item unit price book – UPB and/or unit price guide – UPB. Unit prices books are typically updated annually and quarterly price adjustments may also be applied by specified processes and factors.